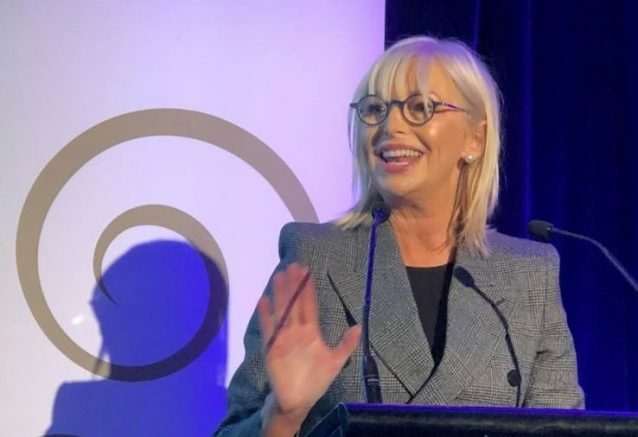 AWI chair Colette Garnsey’s claim of ministerial cooperation had been refuted by Minister for Agriculture David Littleproud. 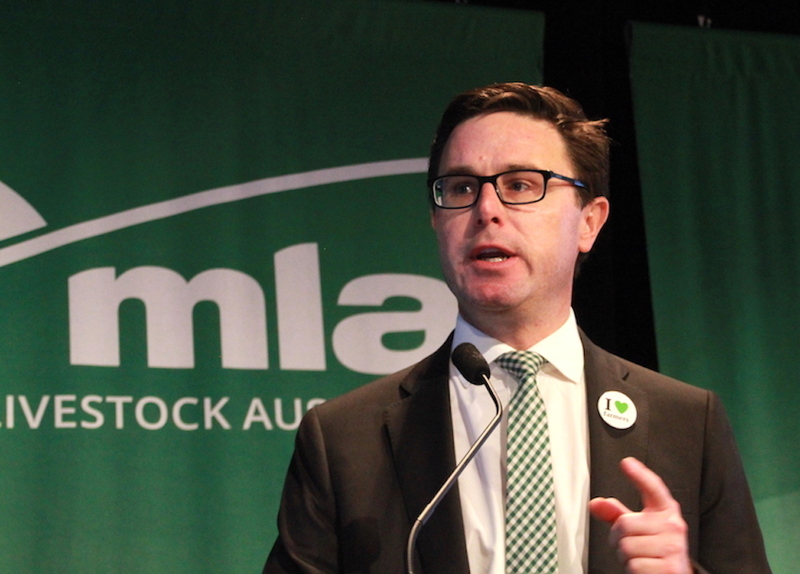 MINISTER for Agriculture and Water Resources David Littleproud has refuted a claim by Australian Wool Innovation chair Colette Garnsey that he co-operated with the levy-funded body to reach a consensus with grower groups on key recommendations by an Ernst-Young review of AWI’s performance and governance. AWI yesterday said its board and wool grower groups had reached consensus on the company’s response to five recommendations of the 2018 EY review of performance and governance, but the levy and taxpeyer funded body has refused to release details of the agreement. The AWI media release quoting Ms Garnsey included only vague details on the consensus agreement outcome which was first personally shown to Minister Littleproud more than two weeks ago, although parts of it were outlined by AWI director Don Macdonald at an industry field day last month. AWI’s scant description of the consensus on the EY review recommendations. Click here for more details from WoolProducers. The agreement negotiated mainly with AWI by peak grower body WoolProducers Australia effectively denies Australia’s wool growers a promised vote on the key governance recommendations at a now abandoned extraordinary general meeting scheduled for March 15 this year. Ms Garnsey said yesterday said that as a result of this consensus agreement, AWI will no longer be required to hold the extraordinary general meeting that had been scheduled for early 2019. “The remaining proposed changes to the AWI constitution, in response to the review of performance, will be put to shareholders at the 2019 and 2020 annual general meetings. “This was deemed to be in the best interests of Australian wool growers,” she said. Ms Garnsey said an extensive consultation process – run through AWI’s Industry Consultative Committee – had allowed wool growers to identify, agree and ultimately support alternative methods to address the intent of five review of performance and governance recommendations, “while protecting the democratic nature of the director election model and shareholder rights”. Industry consensus has been reached on key EY review governance recommendations concerning AWI’s board nomination committee structure, the use and transparency of open proxies by the AWI chair, director independence definition and reporting, and the requirement for all board nominees to have 100 shareholder signatures. “Reaching this outcome would not have been possible without the cooperation of the Minister for Agriculture and Water Resources, the Hon. David Littleproud, his department and wool grower representative groups,” Ms Garnsey said. However, Mr Littleproud told Sheep Central that AWI had negotiated with individual stakeholders and obtained agreement to compromise on most recommendations from the EY Review. “To say this was done with cooperation from me is rubbish. “In a meeting (on March 5) following this, I asked stakeholders to speak up if they were unhappy or forever hold their peace,” he said. AWI had already agreed with WPA on the key review recommendations, except for director tenure, before the March 5 meeting with Mr Littleproud, who till then had no personal knowledge of the consensus agreement. Mr Littleproud told ABC Radio’s Victorian Country Hour last week that he had challenged AWI to put a timeline on the tenure issue at the March 5 meeting. “I’m satisfied if stakeholders are, I’m disappointed that the 82 recommendations weren’t put in place. “This (EY) report was done, predicated on Senate hearings as well as a review that was happening anyway, but I think it shows that there has been a structural cultural deficiency within AWI for some time,” he said. “We have to get rid of the people and the personalities that were taking the industry… and polarising – this is a successful industry and we don’t need the polarisation of it. “But I think there has been some leadership shown, but I am going to be cautiously optimistic in terms of supporting anything until I see that cultural change in AWI,” he said. Ms Garnsey’s statement said a review recommendation on director tenure, for a 10-year cap, is still in consultation and will be resolved at or before AWI’s 2020 annual general meeting. Mr Littleproud said the recommendation about board tenure remains unresolved at this point. “AWI and its leadership needs to prove it is changing the culture of the organisation by removing the personalities which have made it polarising. “AWI and its leadership needs to prove it is changing the culture of the organisation by removing the personalities which have made it polarising,” he said. “It’s time for action,” the minister said. “The test of whether Ms Garnsey is different to her predecessor will be whether she follows through on the recommendation about board tenure. Mr Littleproud last year had demanded AWI implement all 82 recommendations from the EY review, but has yet failed to explain why he and his department allowed AWI to delay full implementation in the lead-up to the 2019 federal election, avoiding an extraordinary general meeting and thereby denying AWI shareholders an expected vote on the issues. Sheep Central has been told wool grower bodies, especially WPA and the Australian Wool Growers Association, despite also demanding AWI implement all review recommendations, began negotiations with AWI to avoid an EGM because they were fearful the necessary 75 percent vote approval for review resolutions could not be achieved without AWI board endorsement. The industry negotiators were led to believe that unless they agreed to AWI’s position, including on director tenure, the EY recommendation resolutions would be put at an EGM without AWI board endorsement. In negotiations since the AWI annual general meeting in November last year, WPA initially wanted a six year director tenure cap, which was rejected by AWI. WoolProducers has claimed it then rejected an eight year chair tenure cap proposal from AWI, which did not include any provision for a director who has served eight years to leave the board. Last month AWI director Don Macdonald confirmed AWI was proposing no limit on director tenure, recognising that the original EY review 10-year director tenure cap proposal was aimed at former chairman Wal Merriman, who had held the post since 2008 before resigning last year and has been a director since 2004. Under AWI’s current position on tenure, Mr Merriman will be able to stay on the board indefinitely and possibly renominate for the top role in the future. Ms Garnsey has said the consultation process to achieve the consensus agreement has been extremely productive and conducted with a spirit of goodwill by all parties, including WoolProducers Australia, the Australian Wool Growers Association, Broad wool breeds, Australian Superfine Wool Growers’ Association, Australian Association of Stud Merino Breeders, Pastoralists & Graziers Association of Western Australia, Birchip Cropping Group, Flinders Ranges Merino and the Don Brown Ewe Competition. AWI said it continues to proactively address and implement the intent of all 82 recommendations included in the review of performance and governance. “AWI will work with the Department of Agriculture Water and Resources to make the necessary changes to AWI’s ROP Implementation Plan and formalise all remaining constitutional changes at AWI’s 2019 and 2020 AGMs,” Ms Garnsey said. Shadow Minister for Agriculture Joel Fitzgibbon said in the interest of a quick and meaningful outcome, he had made a commitment to Mr Littleproud that he would support his response to the 82 recommendations. Click here to read the text of the AWI media statement released yesterday. Any worthwhile reform of our industry is usually enacted by a Labor Government. Let’s hope Joel Fitzgibbon is up to it, because he has a big task ahead dealing with this lot. From a commercial Merino breeder: Mr David Littleproud and Mr Joel Fitzgibbon, please don’t weaken on this issue. If you can’t change the culture, give us a choice on who we can pay our levies too. That will fix the culture over night. Then we can get some research done that is needed. See my comment on following story on the EGM issue. It could apply pari passu on this too. A lot of time and energy has been wasted attempting to save the existing board. Imagine what a skills-based board of Australian Wool Innovation could achieve for growers. Shame.